Earn up to 75 Pickle Points. 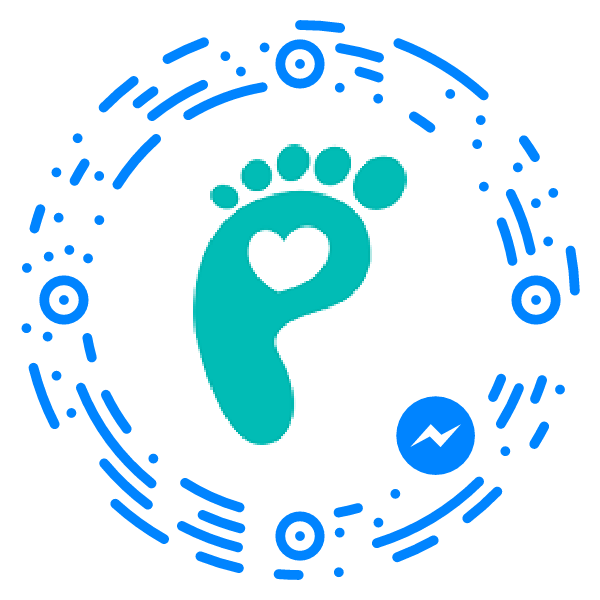 Our gorgeous freshwater pearl bracelet & hand/footprint charm features a single fine silver charm to display the unique hand or foot print of your loved one. 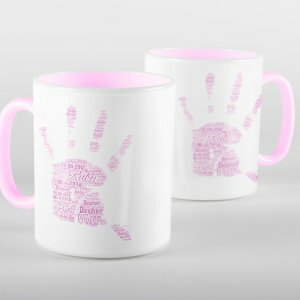 See below for full description and personalisation options. 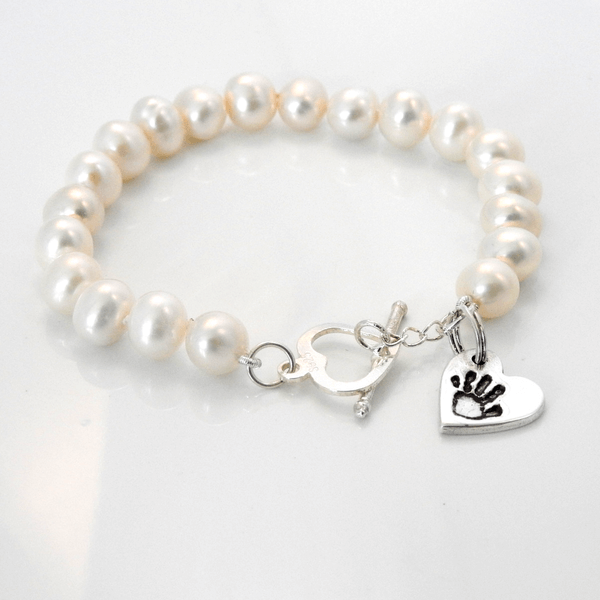 Our gorgeous freshwater pearl bracelet & hand/footprint charm features a single fine silver charm to display the unique hand or foot print of your loved one, making a special piece of forever jewellery. 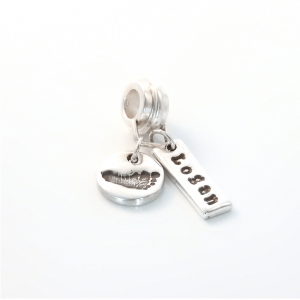 The reverse of the charms can be further personalised with a hand-engraved name or special date. 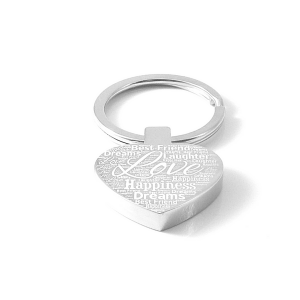 A sterling silver heart shaped toggle clasp is used to secure the bracelet and adds to it’s uniqueness Made entirely by hand in our studio each charm is polished to a high shine and is sent beautifully gift wrapped.